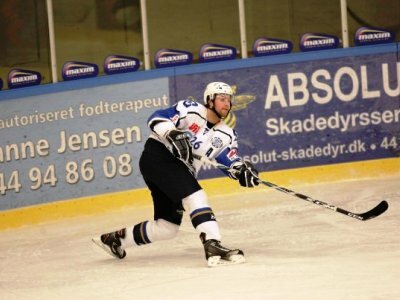 Coventry Blaze Captain Mike Egener will not return to the blaze due to illness. Losing a player you thought you had signed weeks before the start of the season is always a nightmare for a coach and for the Blaze; losing their intended captain for the 2013-2014 campaign is going to provide a large headache. Mike is suffering from Guillain–Barré syndrome. The syndrome affects the nervous system and can cause progressive paralysis. By all accounts Gullian-Barre syndrome is a nasty little affliction and I would like to wish Mike a speedy recovery while his family remain in my thoughts. So what does this mean for the Blaze? Losing their captain may be a problem but at least they have plenty of candidates to carry the torch. I would imagine Soderstrom would give Blaze stalwart Russ Cowley the C. Or possible let the C fall to former Blaze captain and scorer of the playoff winning goal in 04-05 Ashley Tait? (Although Tait is supposedly taking on player-coaching duties this year). There is always the chance that new signing Sean Ericsson could be made captain. After all he did captain the University of Connecticut Huskies for 2 straight seasons. There is also the question of recruitment with lots of players going into various pro and minor-pro training camps around this time. Do the Blaze wait to see the result of the inevitable chopping and changing of North American rosters while assigning Russ Cowley or Micheal Henrich to temporarily sit on the blueline? Or do they strike while the iron is hot and delve into the current free agent pool? A perfect replacement would have been Guy Lepine (former Panther and as a result unlikely to have signed for Coventry) who recently signed for the Evansville Icemen. 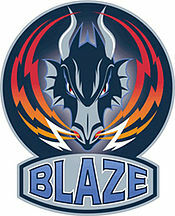 Also what type of player should the Blaze go for? I personally would like to see them sign a like-for-like player as the Blaze defence, particularly its size, impresses me. Plus I don’t imagine Egener came cheap considering his pedigree (former 2nd round pick to Tampa Bay) so the Blaze could feasibly attract someone of a good calibre.